Previous: ARE PRIVILEGE PARTIES THE NEXT BIG THING? A West Island teenager has been arrested for impersonating a doctor at the Beaconsfield General Hospital. “He was inspired by the movie Catch Me If You Can,” says police spokeswoman Veronica Kazua. “He decided if Leonardo DiCaprio could convince people he was a doctor, so could he — so he ordered a white lab coat on eBay, some MDMA from a dark net drug forum, and made his way over to the hospital." It took several weeks for staff to realize that the teenager wasn’t actually employed at the hospital. “He just seemed so confident and self-assured that we just assumed that he worked here,” says Benoit Cloutier, a nurse at the hospital. The teenager spent his time at the hospital making rounds and talking to patients. “He gave his favourite patients MDMA,” says Veronica. 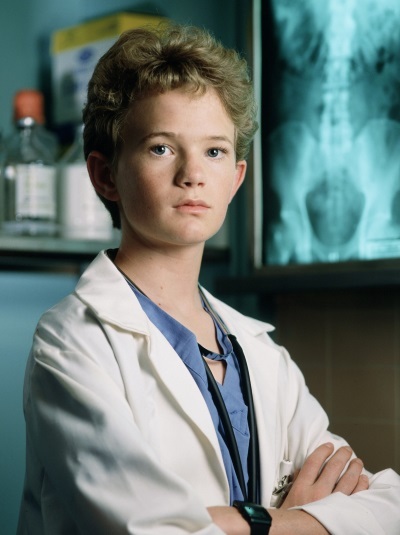 “Thankfully, nothing serious happened as a result of his illicit ‘treatments’, however we were lucky that an attentive patient realized something was odd about a boy who looked about as old as Doogie Howser working as a doctor." The fact that it took so long for someone to speak up says something about human psychology, claims criminologist Baker Goodings. “The fact is, if you pretend that you know what you’re doing, most people will just defer to you,” says Baker. “In the real world, you don’t need to know anything, you just need to act like you do. If someone can get away with pretending to be a doctor for several weeks, just imagine how many truly unqualified people are out there right now, working in all sorts of jobs that are way beyond their understanding. The next time you go to work, just look at the people around you. Chances are, at least one of them shouldn’t be there."